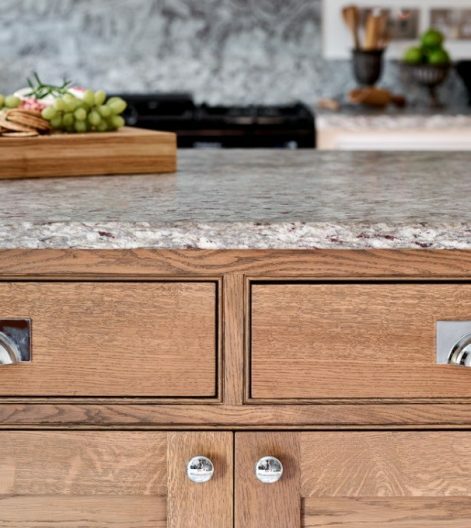 Over the last 18 months, a trend in the worktop and kitchen design industry has emerged, which I would call ‘trad-temporary’, a combination of traditional and contemporary styles. 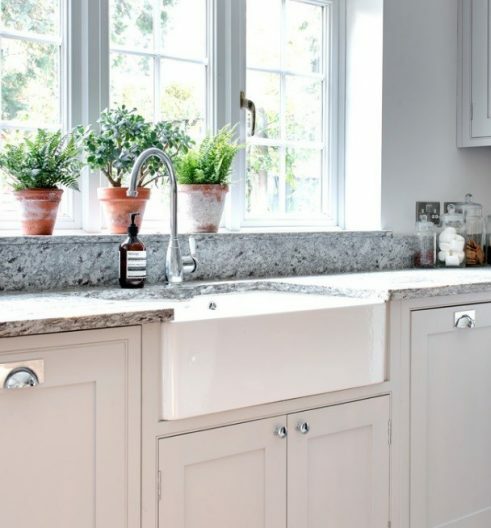 By pairing traditional, classic looking granite, with modern, contemporary looking kitchen units, and vice versa, you avoid pinning yourself or your kitchen to any decade. The trad-temporary look is seriously on trend. If you’re looking to sell your property, a trad-temporary combination will trump potential buyers inclined to immediately say “I’m going to rip that kitchen out, it’s so dated”. If you’re decorating your ‘forever’ house, trad-temporary is a look you’re never going to tire of. With a foot in both camps, you can change the kitchen unit handles in 10 years time, spruce up the blinds, repaint the walls – you’ve still got a ‘new look’ kitchen that’s bang on the money. Lighter worktops are in at the moment with dark being yesterday’s colour. Whether you choose natural granite, marble or man-made quartz, lighter worktops will continue to be ‘on trend’ through 2017 and for the foreseeable future. Landford Stone representatives recently attended the annual Verona Stone Show (the leading global event for the stone industry) and everything was light. Lighter stones, reflect light, make the room seem bigger and don’t show those pesky little marks. A new worktop is an investment and a big statement feature in your house, it’s got to be perfect. This is why, we at Landford Stone, actively encourage customers to visit our yard and hand-pick their perfect material. At Landford Stone, we recommend that you carefully research the probity of the stone company you are using; do check reviews, do check testimonials. We’ve been in the industry over 40 years and can confirm that unfortunately accidents do happen. I can’t stress enough the importance of choosing a company that will stand the test of time and be there, 10 years down the line, in case something goes wrong. We live in our kitchens day in day out, if you’ve got a crack, chip, or need a join redoing you need a company that will, and can, fix it for you.